SkiSoutheast.com is a privately owned & operated website and is not part of any association, ski resort or ski organization. We first began in October of 1996, so this will be our 17th season of publishing the Southeast’s most visited ski website*. 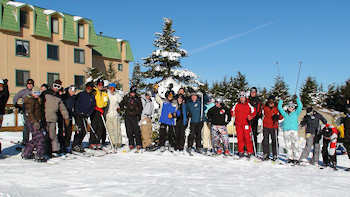 SkiSoutheast.com is owned by AppNet.com and is just one of many websites that promote tourism to the High Country area, Western North Carolina, the Southeast, and Mid Atlantic. When we began publishing SkiSoutheast.com, our main purpose was to answer the hundreds of questions that we were hearing from visitors (at that time) about things pertaining to the area’s ski resorts. AppNet built and maintains a huge base of accommodations and tourism websites for the sole purpose of assisting people who want to visit our area because of the attraction to skiing in the region. SkiSoutheast.com now ranks as one of the top ski related websites in the country! You’ll find us on top of all of the major search engines when searching for ANYTHING related to skiing in North Carolina, Southeast Skiing, Southeastern Skiing and more. We even rank on top of several search engines when you search for Ski Resorts only! We beat out the “big guys” at Vail, Aspen, Utah, Vermont, and more! What once began as a small, ten-page website called AppNetSite.com/skiing, evolved into a 900+ page website called SkiNC.com. A few years ago we began to get so many inquiries about “the rest of the Southeast’s ski areas” that, by popular demand, we debuted SkiSoutheast.com. Now SkiSoutheast.com is more than 33,700 pages! Along with our network of ski-related content on SkiNC.com, HighCountryWebCams.com (now ResortCams.com), and HighCountryWeather.com, we receive more than 60,000 unique visitors a day during the peak of each season and display more than one-half MILLION page views per day! We will continue to grow our content and services and always listen to YOUR suggestions and comments. To that end, if you have any comments or suggestions, we would love to hear from you! 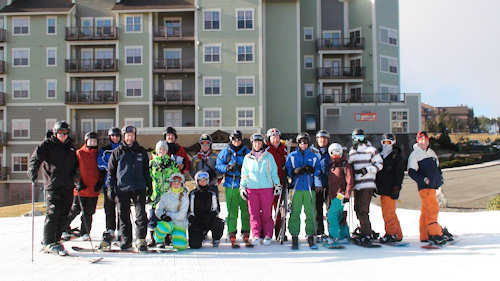 Over the years, we have developed SkiSoutheast.com into the one place that people have come to depend on for all of the information needed to make a ski vacation or getaway the best that it can be by providing dependable conditions reports, weather, and more. We have enlisted the support of many local businesses, as well as television stations in (9) southeastern states and are confident that, with this teamwork, we will continue to grow SkiSoutheast.com. From the FIRST day we began SkiSoutheast.com, we promoted the fact that, first and foremost, we are geared to help YOU, the visitor. Do we also provide a service for the ski resorts? Absolutely. For the last 16 seasons we have provided the most timely and accurate slope conditions for every ski resort in Maryland, West Virginia, Virginia, Tennessee, and North Carolina. We often check national, regional, associational and individual ski resort websites and we can tell you that most of these are dependent on the individual ski resorts to update their content. Often there are subtle differences in many of these reports. Our content is pulled directly from the resorts themselves every morning and more frequently when it’s snowing, raining, etc. and we also involve more than 115 volunteer on-snow reporters who provide us with invaluable content to post daily reports and updates. Many of these on-snow reporters are ski patrol, ski school personnel, season pass holders and more. Unlike many websites that post snowy, pristine photos on the front page, we are the only web presence that posts the number of DAILY Photos of the Day and Live Web Cam images to the level that you can SEE what to expect before heading to your favorite ski area! You can count on SkiSoutheast.com for all of the information that you need – Lodging, Ski Rentals, Ski Reports, Road Conditions, the area’s most visited Weather Stations, and more! That’s what makes us Number One!